DERMOT ROANTREE :: Strange days have found us. Back in the 1970s to 90s, if you were told that there was a group of prominent Catholics who believed that the Pope was leading the Church astray and that they had organised a conference to address the crisis, you would have been fairly sure that they were on the progressive side. If you learned then that they were speaking against ‘ultramontanism’ or ‘papolatry’, you would have been more certain still. And if you heard that the keynote addresses spoke of the obligation at times to disobey the Pope, stressed the need for the pope to be more collegiate, and invoked both Newman’s doctrine of development and his notion of the sensus fidelium, there would have been no further room for doubt. The only remaining question would be: which of the heavyweight liberals was involved? Was Hans Küng there? Or Curran or McBrien or Reuther or Schillebeeckx or Baum or Häring, or any of the other theologians who had given voice to one form or other of a theology of dissent? But – strange days indeed! – the “Chiesa cattolica, dove vai?” (“Catholic Church, Where Are You Going?”) conference in Rome earlier this month had all these ingredients, yet it was a thoroughly traditionalist event. Ironies abound. For starters, the folks at this conference are clearly the intellectual descendants of the 19th century ultramontanists, yet they use the descriptor as a jibe. Their predecessors were conservative Catholics who defended tradition and insisted on the immutability of doctrine. They fought against the Enlightenment spirit, the development of historical theology, political rapprochement with a post-revolutionary world, and modernism. All just like today’s traditionalists. But in the 19th century those Catholics were proud to call themselves ultramontanists. They took it to mean that they stood with the ancient faith against the spirit of the age. It was, after all, this traditionalist impulse which drove the definition of papal infallibility through the Vatican Council in the first place. The irony is deep. And as for ‘papolaters’ – how ironic again that a crude and stupid insult only ever used by anti-Catholic elements in Protestantism should now be slung by traditionalists against the defenders of Pope Francis. There are many other ironies here, but the most striking – and, I suspect, the most consequential – is that the conservatives who attack Pope Francis in the name of tradition and magisterial authority have been pressed into holding a variation of the doctrine of private judgement. They no longer countenance any form of obsequium religiosum, religious assent or submission, to the ordinary teaching authority of the Pope. Rather, they advise that you withhold assent until you have established to your satisfaction that what he says is in accord with tradition. But how do you know that it is? By what authority do you make the judgement? Do you form your own opinion? 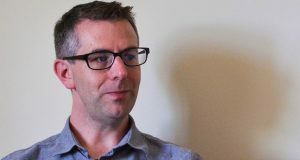 Do you study the theology first? Do you rely on an intuition? Or do you take someone else’s word? Whose? A blogger’s? A news outlet’s? Your favourite cardinal’s? Is that Cardinal Burke? Or is it Cardinal Kasper? What about Pope Francis himself? But no – we must judge the Pope before we can accept the judgement of the Pope. And so we come full circle. The Church holds that the task of interpreting Scripture and tradition authentically has been entrusted to the teaching office in communion with the Pope. Now, I have no interest in claiming that the Pope’s every word is gospel, that his ‘ipse dixit’ should always be sufficient for assent. I have a sovereign soul. I have a binding conscience. I have reason, some learning, and some common sense, none of which I can be expected to leave on the shelf. But attention, reverence and a predisposition in favour of the Pope are in order, and not since the Reformation have these been as lacking among Catholics as they are now in the public utterances of Pope Francis’ critics. Without these habits (and here’s the irony again) we have no robust defence of tradition itself. But this doesn’t really get us far beyond private judgement. What happens – and this is not merely hypothetical – if the Pope says his teaching is indeed in conformity with Scripture and tradition? And what if countless Catholic ecclesiastics, theologians and faithful agree? Whose sense of tradition do you go with then? How do you decide? 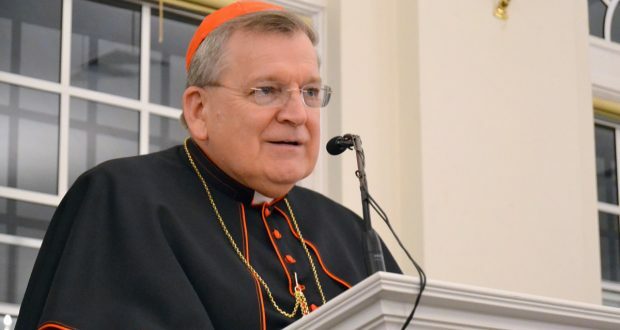 Cardinal Burke speaks as if the concept of tradition itself is transparent and unproblematic. Plainly, it’s not. His own understanding (and most Catholic traditionalists are broadly with him on this) is heavily dependent on a propositional and archival sense of tradition which emerged in the course of post-Tridentine polemics. In other words, it is not itself a traditional understanding of tradition. There are no grounds for privileging it or taking it as normative. 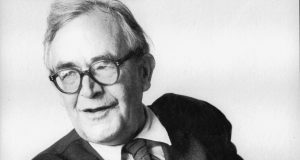 Yves Congar compares the sense of tradition which was configured in the face of the Reformation to “a straight canal with cemented parapets”. By contrast you have “the great river of tradition”, the tradition primarily of the Fathers, which is wider and richer than this. It has a more organic sense of the Church, a sense that it is a living and growing body, constitutively historical, where history is a blessing and not a falling-away or a curse. New junctures in human and ecclesial experience make new calls on the Church’s understanding of the revelatory deposit. And often the Church must discover previously undiscovered – even unsuspected – aspects and senses of its own tradition. It is traditionalism, as Jaroslav Pelikan put it, that gives tradition such a bad name. If you see tradition as merely a documentary archive which can be understood unerringly by a simple application of logic and by attention to the plain meaning of words, you have lost the sense of a “living tradition” which is aware of its responsibilities both to the past and to the present. You tend then to be certain of your judgements and intolerant of the possibility that there may be more to it. You say tradition gives up its meaning easily and leaves us in no doubt. You insist that one can easily see whether the Pope is defending or dismissing it. If it is the latter case, you say, we can judge that he is not speaking magisterially. His words are null and void. But it is impossible to explain the development of doctrine with this understanding of tradition. It is impossible to account for all that has in fact happened in the course of the Church’s 2000-year history if you won’t allow the emergence of doctrinal positions which run counter, sometimes even dramatically, to what was previously taken to be the Church’s teaching. 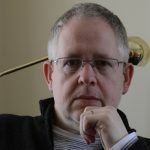 More irony: the same Newman whose theory of development is now routinely appropriated by strongly conservative voices in the Church (Cardinal Brandmüller at the recent conference, for example) turned away from High Anglicanism precisely because it was tethered to this very same ‘traditionalist’ sense of tradition. He discovered in Roman Catholic life and theology a more animated and more complex appropriation of revelation. 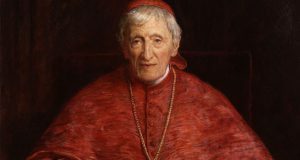 When it came, for example, to the doctrine of papal infallibility at the First Vatican Council, though Newman thought it inopportune to define it he defended the legitimacy of the definition, even though it was clearly at odds with what Catholics then took to be the common teaching of their Church. He sympathised deeply with Ignaz von Döllinger on many counts, but he was dismayed at Döllinger’s refusal to accept that an ecumenical council could affirm a novel stance on the subject without it constituting a breach in continuity with tradition. On more than one occasion Congar pointed out to Archbishop Lefebvre, whose sense of tradition was much the same as that of our contemporary traditionalists, that his attitude was comparable to Döllinger’s. And others too, including Jean Guitton and Joseph Ratzinger, warned that the understanding of tradition held by the Lefebvrists brought them close to the stance of the Anglicans, the Gallicans, the Jansenists and the Old Catholics, all of whom accused Rome of disregarding tradition. This, perhaps, is the ultimate irony. Catholic traditionalism is in danger of becoming the very thing it abhors. In one of Borges’ stories in The Book of Sand, the real-but-fictional Adam of Bremen is made to say that “One invariably comes to resemble one’s enemies”. Maybe this is what is happening. Humankind seems to have an extraordinary propensity for imitation, on both a personal and a collective level, and often, it seems, this mimetic impulse is triggered by enmity. We have of course the profound treatment of this theme on an anthropological level in René Girard. But there are other adjacent insights, often expressed aphoristically, which echo this core intuition. Think of Wilde calling imitation a form of flattery. Think of Sun Tzu’s advice to become the enemy in order to defeat him. Or Harold Bloom’s wonderful variations on the theme of the competitive disciple in The Anxiety of Influence. Or indeed Nietzsche’s insight that those who battle against monsters become monsters themselves. It doesn’t seem too much to suppose that traditionalists have come to resemble the very ‘monsters’ they most abhor – those who would separate themselves from the living continuity of the Church. How else could we account for the viciousness and venom of their pope-baiting? In many conservative media it is quite simply pathological. A quick instance: just one article on one website covering one event. Last week, the website 1 Peter 5, well regarded by traditionalists, addressed the new Apostolic Exhortation Gaudete et Exsultate. The author (and site owner), Steve Skojec, made the point of his piece that he could not bring himself to read it. He can’t abide the Pope, and he makes no bones about it: “If there is any man on this planet less capable of helping me to find my way [to being who I need to be] than, as one priest-friend of mine calls him, “that man in Rome”, I can’t imagine who he’d be.” Francis is a wolf, “garishly decked out in the garb of a shepherd”, who “cannot be trusted to lead the sheep to safe pastures”. “It is exhausting,” Skojec adds, “to keep up with his constant, clamoring demand for attention, like the incessant clanging of a gong”. Francis is “our papal chastisement” who, amid his “cringeworthy word salad”, his “problematic theology” and his “needless degradations” of traditionalists, administers “drops of poison” to his flock. It’s a long road back from this level of vituperation to any meaningful sense of obsequium religiosum with regard to the ordinary magisterium of the Pope or of the Church at large. 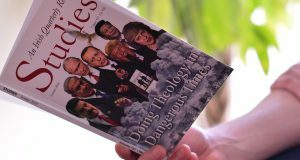 The pity is that so many earnest mainstream conservatives in the Church, those for whom respect for the Pope would have been second nature and a point of pride, have slipped into using the coarse and contemptuous idiom of the traditionalist hardliners, such that they no longer find it foreign to their religious instincts and are no longer shocked by it. What happens with this Pope’s successor? If these same people find him more to their liking, what level of respect can they reasonably ask of other Catholics? They will not be able with any decency to expect them to do more than listen to him, judge for themselves if his teaching is sound, and then either give it their assent or let fly at him. If you are looking for innovation in the Catholic understanding of how the teaching office of the Church works, there it is. This is the sorriest irony of them all.